The Trump administration claims that its America First Energy Plan will generate $50 trillion in revenues for American society. According to Jeremy Proville and Jonathan Camuzeaux of EDF Energy Exchange this is an “alternative fact” for which the evidence is totally lacking. Here are six reasons Trump’s plan can’t deliver on its promises. Off the bat, it’s clear that President Trump’s plan relies on flawed math. What’s actually estimated in the report is $31.7 trillion, not $50 trillion, based on increased revenue from oil, gas, and coal production over 37 years (this total includes estimated increases in GDP, wages, and tax revenue). The other roughly half of this “$50 trillion” number appears to be conjured out of thin air. By using inflated oil and gas prices and multiplying the benefits out over 37 years, the author dismisses any volatility or price impacts from changes in supply. The IER report is overly optimistic when it comes to the amount of oil and gas that can be viably produced on today’s restricted federal lands. Indeed, the report assumes that recoverable reserves can be exploited to the last drop over the 37-year period based on estimates from a Congressional Budget Office report. A deeper look reveals that these estimates are actually for “technically recoverable resources,” or the amount of oil and gas that can be produced using current technology, industry practice, and geologic knowledge. While these resources are deemed accessible from a technical standpoint, they cannot always be produced profitably. This is an important distinction, as it is the aspect that differentiates technically-recoverable from economically-recoverable resources. The latter is always a smaller subset of what is technically extractable, as illustrated by this diagram from the Energy Information Administration. The IER report ignores basic industry knowledge to present a rosier picture. The IER report ignores basic industry knowledge to present a rosier picture. The IER analysis does not include any discounting and therefore overestimates the true dollar-benefits of lifting oil and gas restrictions. We know drilling activities can lead to disastrous outcomes that have real environmental and economic impacts. Oil spills like the Deepwater Horizon and Exxon Valdez have demonstrated that tragic events happen and come with a hefty social, environmental and hard dollar price tag. The same can be said for natural gas leaks, including a recent one in Aliso Canyon, California. And of course, there are significant, long-term environmental costs to increased emissions of greenhouse gases including more extreme weather, damages to human health, and food scarcity to name a few. The real issue is what is being sacrificed if we set down this path: That is, a clean energy future where our country can lead. 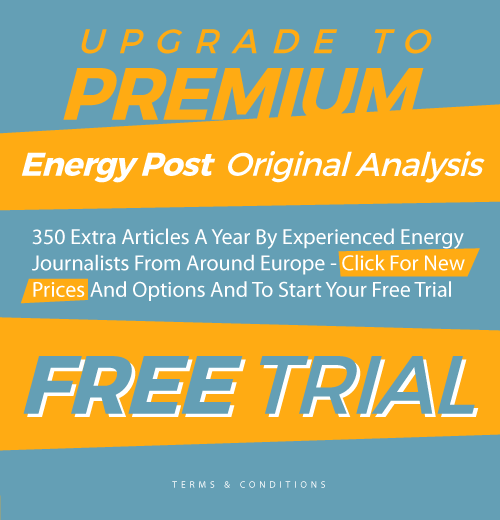 This article was originally published on EDF Energy Exchange’s blog Market Forces. It is the first in a series about the economics of President Trump’s Energy Plan. The study from the Institute for Energy Research referred to in the article can be found here.